Morning! I received this big and heavy beauty box life few days ago. Aww!!! When I opened it’s a real Special Surprise. I love this MIVVA Special Blogger Beauty Box - Christmas Edition. All of them are full size and also the products that I will use. The products are all from KAO Malaysia, there are Liese and Biore. Yay! I used Liese Bubble Hair Color before, I have tried the Milk Tea Brown, Sweet Apricot and Chestnut Brown. It is really easy to use and the color turns out to be the tone that I like and it is quite lasting. This hair dye or hair color does not dry my hair. Yuhuu!! This is the one I love the most! Thanks MIVVA. I have already purchased and used a number of boxes before I received it. I usually carry this when I travel, is very handy and effective. 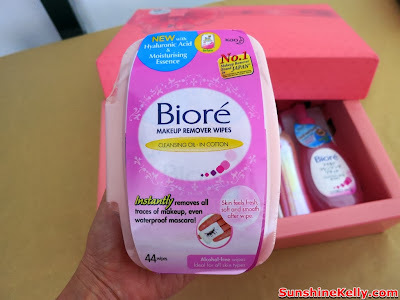 Just a few wipes it helps me to removes all the traces of makeup, even waterproof makeup. This box is the new packaging with more moisturizing and hydrating on our skin. Really suitable for my skin. 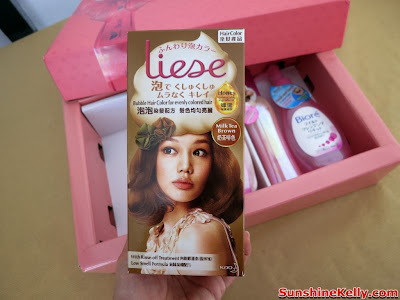 This is my first time trying the Kao Liese Smooth Hair Cocktail. No more tangled hair or hair breakage at the hair end. I love the scent it makes my hair smells so sweet. After washing my hair I just spray it on my hair ends or the area which has tangled hair then leave it a while and comb my hair. Love the smooth feeling when I comb my hair or run my finger through my hair. So less tangles therefore less pulling when I comb my hair, less pain and of course less hair fall. 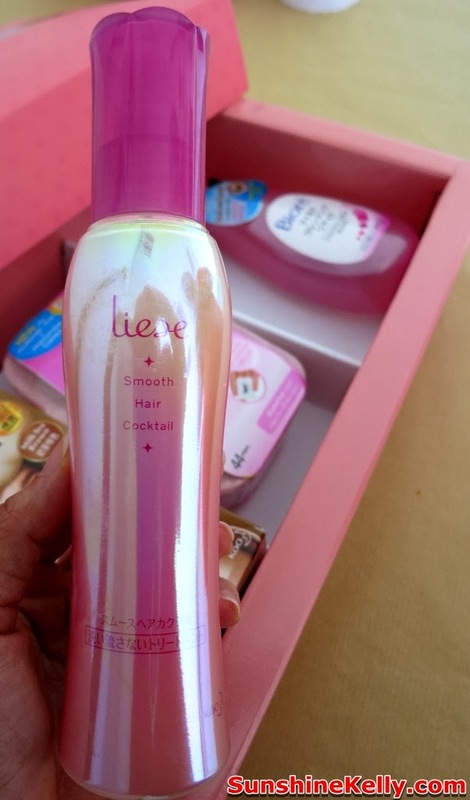 At the same time, this hair cocktail also hydrates, smoothens and moisturize my hair end leaving hair shinny. Remember to shake the bottle before you spray. This is a water-based makeup remove, particularly suitable for the delicate eye areas and sensitive skin. I like the smooth texture with mild soothing scent. 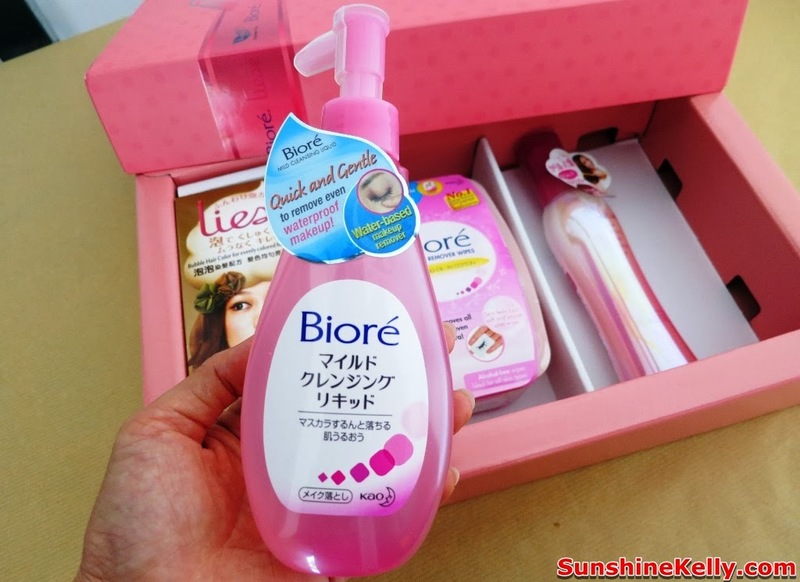 It quick and gentle to remove all the makeup even waterproof make up like mascara, eyeliner or cream base eye shadow. Just pump two pumps into cotton pads and gentle wipe of makeup.